In this episode of The Treasury Career Corner Podcast, I’m delighted to be joined by a good friend of mine, Stephen Long, the Group Treasurer at Williams Lea Tag. 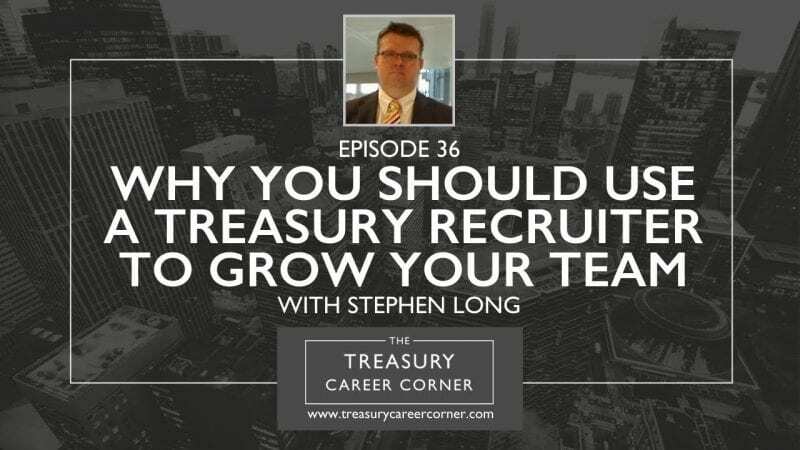 Stephen is an experienced treasury professional having worked within the treasury field for over 20 years. He has specialist knowledge in international cash management, six sigma, project management, and treasury management to name just a few! Williams Lea Tag (WLT) is the leading independent provider of Marketing and Communications Services. Every day, they help organisations transform business processes, enhance their customer conversations and realise the potential of their brand. Founded in 1820 as a company providing printing services to the financial industry, Williams Lea Tag went through a number of changes to its business model and now provides services including mail processing, bulk mailing, printing, and page layout. You can get in touch with Stephen and connect with him via his LinkedIn profile.